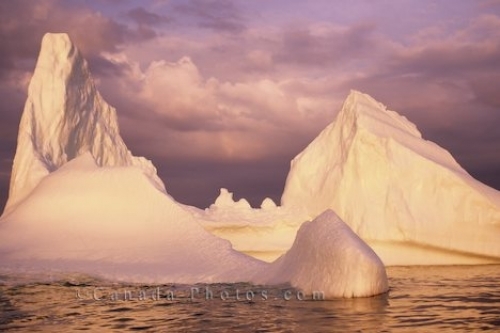 A massive iceberg in Notre Dame Bay near Twillingate, Newfoundland reflects the pink hues of sunset. Iceberg in Notre Dame Bay up to 15,000 years old, Twillingate, Newfoundland, Canada. Picture of pink hues on an iceberg off the coast of Twillingate in Newfoundland.